Trexler Game Preserve/Jordan Creek- What would a childhood summer look like without a trip to the creek? My boys feel like they are Tom Sawyer at the Jordan Creek! Pack a picnic, take a short hike up the hill to view the Lehigh Valley Zoo's bison and elk, and let the kids play in the lovely shallow waters of the creek. Bring nets and buckets and you just might catch some tadpoles! Lake Nockamixon- We just love to take a country drive down there and pack a picnic dinner, hang out by the marina, fish with the kids, and enjoy a stroll along the wooded path. There is a really neat fishing pond too just before the marina entrance. 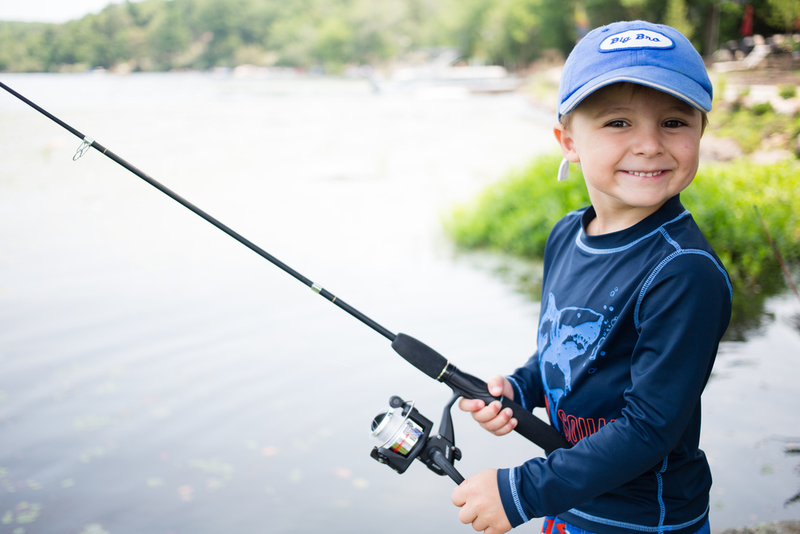 We've had great fun with the free kid's fishing programs they offer- they provide the equipment and instruction! The next event is June 11th. OWowCow Ice Cream- No trip to Nockamixon is complete without stopping at this delightful shop. Handcrafted gourmet ice cream of locally sourced ingredients. Cash only, so make sure you are prepared! I love Honey Lavender, the hubs loves Cinnamon Bourbon, and my kids love the Garden Berry and Strawberry flavors. Pool Wildlife Sanctuary- This is a wonderful nature center in Emmaus that we frequent for homeschooling science classes during the school year. They have tons of fun summer programs, and we enjoy going over there for a hike through the woods on their wooden boardwalks. Makes for a really manageable walk for the toddler/pre-school crowd. My boys love watching for frogs in the pond! 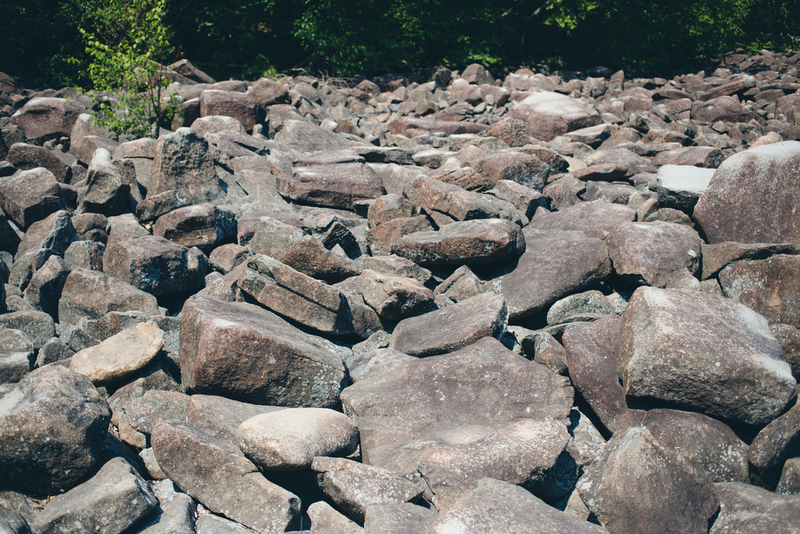 Mauch Chunk Lake- One of our favorite close day trip locations! An easy drive up to Jim Thorpe and you'll find the lovely mountain lake just outside of town. Down the road is a nature center too if you have more time. Camping and rustic cabins are available too if you want to make a real adventure out of it! We've had fun swimming for the day when the ocean just felt like too much effort. Afterwards we always stop in for an ice cream and a cocktail on the way home in Jim Thorpe. Everyone is always happy! Ringing Rocks Park- Bring a hammer and let the kids go hopping from rock to rock pounding away to hear them ring like bells! The uneven rocks may be a challenge for toddlers, but my hubby wore our youngest last year and made it manageable! George Schmidt Berry Farm- We pretty much spend the entire growing season at various farms for pick-your-own fun- that may have to be a separate blog post altogether. The kids love it and enjoy knowing that they actually picked the food they are eating. There are lots of places in the Lehigh Valley to pick blueberries, but this farm has been my favorite so far. We drove out there 3 times last summer because the picking was just that good! Loads of blueberries, blackberries and raspberries! Pick up some mason jars and Pomona's Natural Pectin and have fun making jam together! It's not as hard as you might think, and we freeze ours to make it easy to enjoy all year long. Willow Haven Farm- not far from George Schmidt Farm is this amazing family-run organic farm. They have a wonderful CSA program and run a market on Saturdays right at the farm- complete with homemade organic sourdough breads and wood-fired pizza made to order! This family works together as a team to plant, harvest, and produce all of the products sold at their market, and is set in a beautiful location. We also rented our chicks from them this spring which was another fun experience for the kids. Becky's Drive-In Movies- We haven't been there yet, but I have been dying to get the kids to their first drive-in movie experience. I have fond memories of my childhood in upstate NY and visiting the Avon Drive-In, and can't wait to take the kids to see a movie this summer. Nothing seems more like classic childhood summer than a drive-in movie! 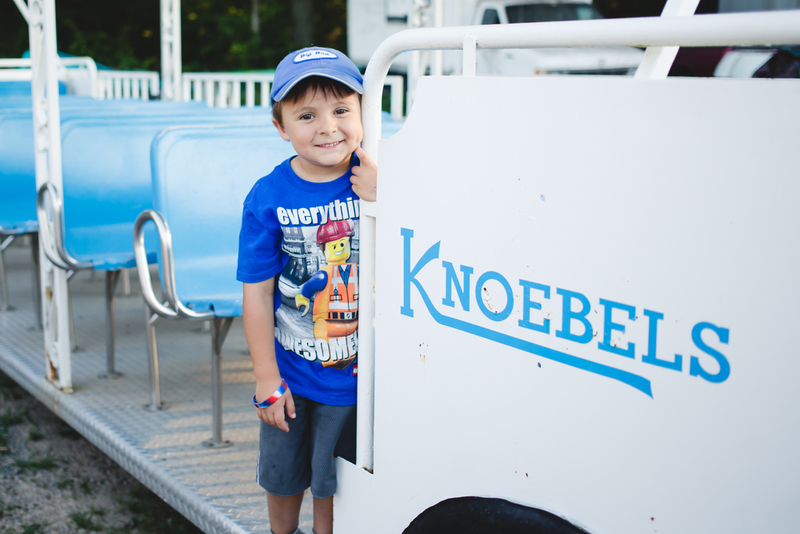 Knoebels- This amusement park was the kids' absolute favorite memory from last summer! It was so classic and family-friendly! We loved that there was no entrance fee, no parking fee, we could pay per ride or buy a wristband (we got those for the older kids), the lines were short and the kids could ride as much as they liked! I also appreciated the food options being very inexpensive so we could treat the kids without feeling guilty! We can't wait to make this an end-of-summer tradition! I hope you have a wonderfully rich and relaxed summer enjoying all that our area has to offer! Soon I will post a list of my favorite indoor activities for the heat of summer :) Stay tuned! Bonus: In honor of strawberry picking season, I am sharing our favorite recipe for homemade ice cream to get your summer started! 1. Combine the strawberries, sugar, and lemon juice in a mixing bowl. Cover and refrigerate at least 1 hour. 2. Prepare the Sweet Cream Base. Mash the strawberries to a puree and stir into the cream base. 3. Transfer the mixture to an ice cream maker and freeze following the manufacturer’s instructions. Note: For a chunkier ice cream, drain the juice from the strawberries and whisk it into the cream base just before transferring it to the ice cream maker. After the ice cream stiffens (about 2 minutes before it is done), add the mashed strawberries, then continue freezing until the ice cream is ready. Cooling off after a trip to Lake Nockamixon with an artesanal popsicle from Owowcow. Homemade blueberry pie with our berries picked from Schmidt's Berry Farm!